Lead the charge with the Cavalier LARP Sword in hand. This latex-free, Epic Foam LARP blade is inspired by the swords and stories of 17th century cavaliers, elegantly curved and wickedly stylish with its guarded handle style. The innovative foam construction is designed for safety in tough combat, and its latex-free construction needs little to no upkeep. The narrow blade widens near its curving point, and the cast polyurethane hilt has an antique bronze coloration. Ribbed texturing lends a steadfast feel to the leather-look grip. 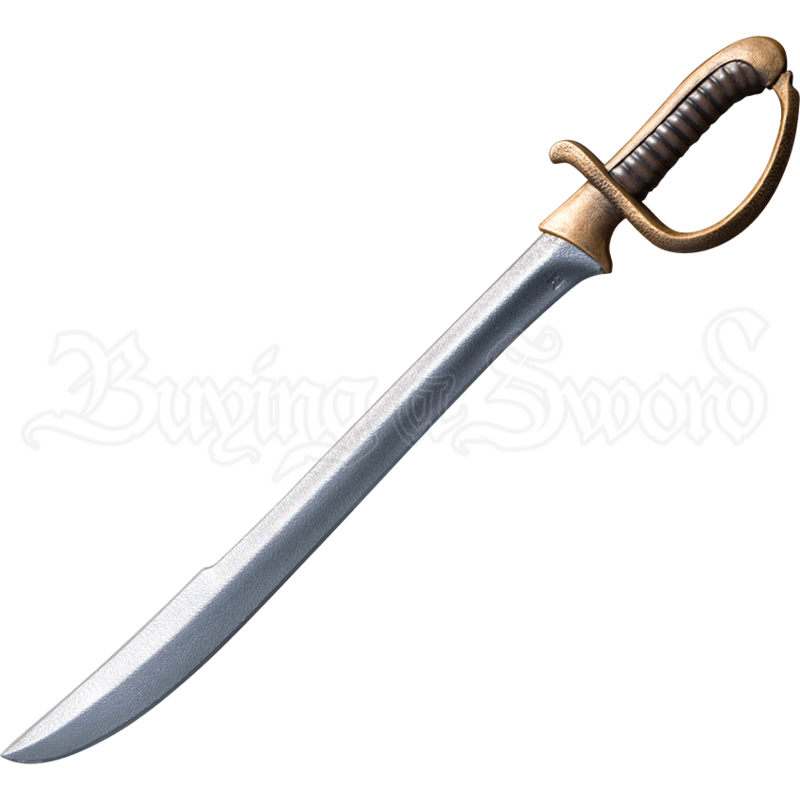 When the battle calls for bold style and debonair swashbuckling, reach for the Cavalier LARP Sword, an excellent choice for historical and fantasy live action roleplay adventures. This foam LARP weapon is approximately 28.35 inches in overall length. This measurement will vary as each LARP sword is a handmade item.